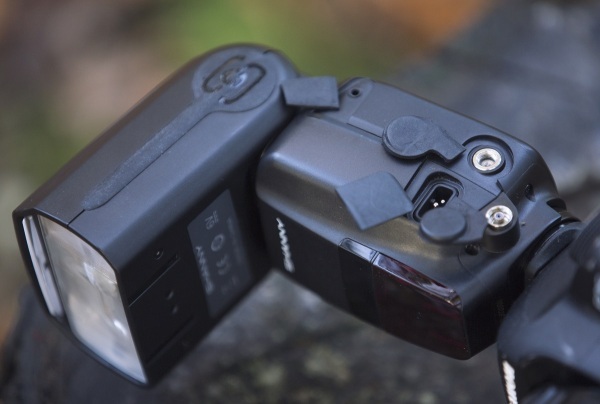 Allan MacDonald reviews the Shanny SN600SC Speedlite, a 'radio-ready' hotshoe flash from a new Chinese manufacturer. Is it any good? Over the past few years we’ve seen a number of third-party manufacturers, such as Yongnuo, firmly establish themselves in the field of photography. Yongnuo have built themselves an admirable reputation and produced a wide range of products – some of which, like the YN-E3-RT, have provided an excellent alternative to a more expensive, original product. I’ve never felt that there is anything wrong about creating a third-party product that offers the same features, at a fraction of the price. The challenge, however, lies with the manufacturer. With each and every new announcement from Canon and Nikon, our standards and expectations are raised as we are introduced to new and improved features. In turn, we expect such features to operate to the same standards in third-party products. After all, why should a YN-E3-RT work any different from the more expensive Canon version? It would surprise some, therefore, that a relatively unknown manufacturer, Shanny, have taken the risk of going straight for the top end of the market, by releasing a flashgun to compete with Canon’s 600EX series. It’s called the SN600SC. 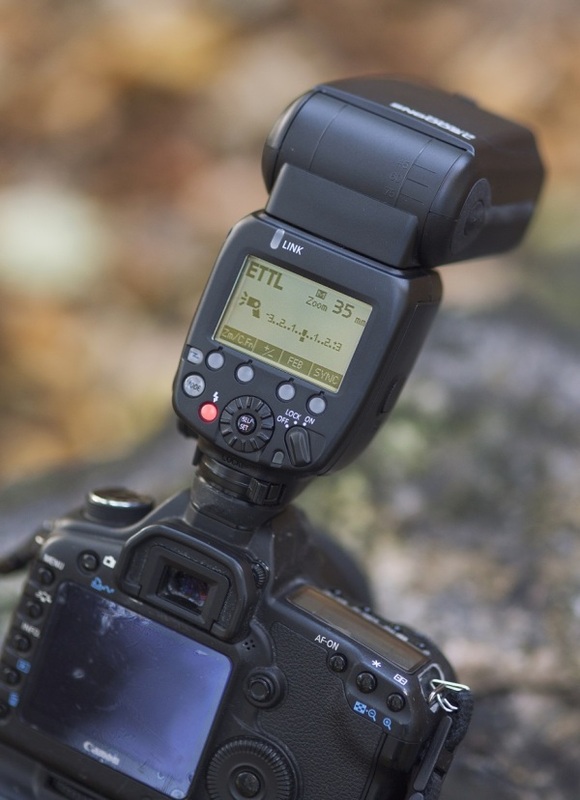 Most of the features found on the 600EX series are to be found on the Shanny, but there are a few additions, including the ability to set the Shanny as a slave in a Nikon system, as well. One feature I was keen to test was the optic slave mode functionality, whereby the user can choose between two modes (S1 and S2), to allow for the flash to be triggered by any other flashgun. 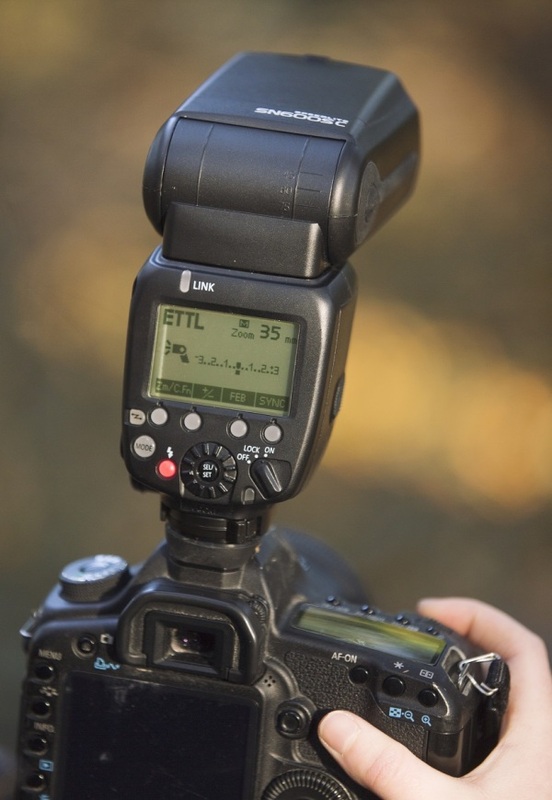 S1 mode is a basic slave setting, ideal for use when using a non-TTL enabled flash, or using any flash in manual mode. 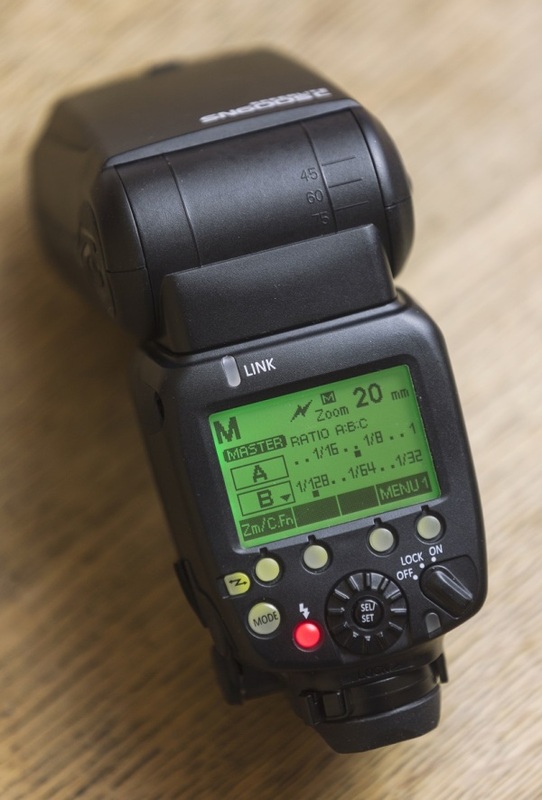 S2 mode is a more advanced slave setting, which can be enabled when using a TTL flash, and ignores the pre-flashes which are typical of any TTL flashgun. 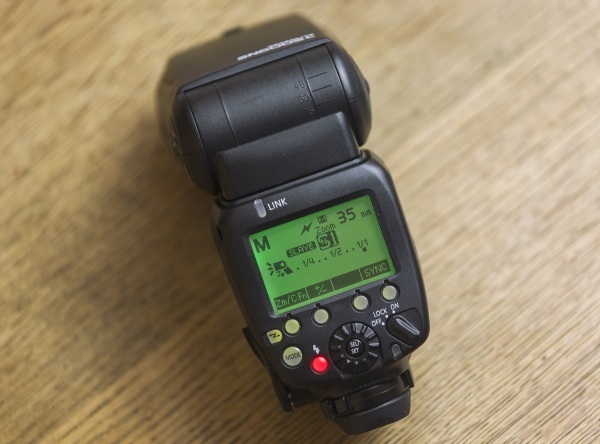 S1 and S2 modes will only allow for manual flash output, which is set in the normal way, through the rear interface, but this is still a handy feature to have. There is a possibility Shanny made the decision to add optic slave mode, to compensate for the lack of GR mode, where a different flash mode (e.g. ETTL, M) can be assigned to each of up to five groups, as found on the 600EX-RT. Although the Shanny doesn’t come with radio capability, it’s possible to turn this flash into a radio slave with the addition of a small device, the SN-E3-MD, which plugs into a 2.5mm port on the side. Unfortunately, the flashgun can only operate as a master when using it through optical transmission. The 600EX series’ fantastic 20-200mm range is also to be found on the SN600SC. This was a big selling point when the 600EX was released, and a big improvement over the 580EXII’s 24-105mm range, so it’s good to see that Shanny has valued the importance of having just a bit more reach in terms of the working range of its device. Shanny haven’t added a USB port to the flashgun for firmware updates, but the plug-in radio device does have this feature, so it looks as if the company will continue to develop the product, to some extent, for a while to come. 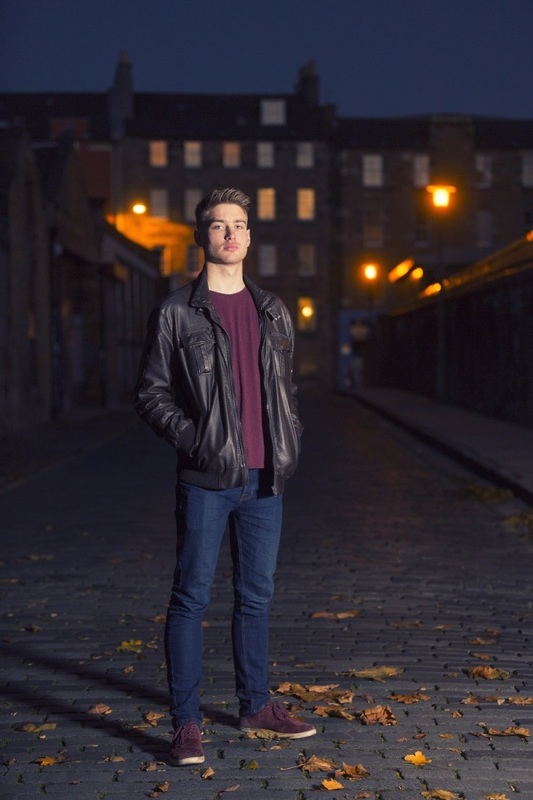 In this review, I used a Canon EOS 5D MK III, and a Canon 600EX-RT as an on-camera master to trigger the Shanny. I experienced no miscommunications between the flashguns and the TTL output was consistent during the short time when I did use this mode. Admittedly, the AF assist light could do with a bit of improvement, as when compared with the Canon, the Shanny covers a disappointingly small area, especially when using a wide angle lens. 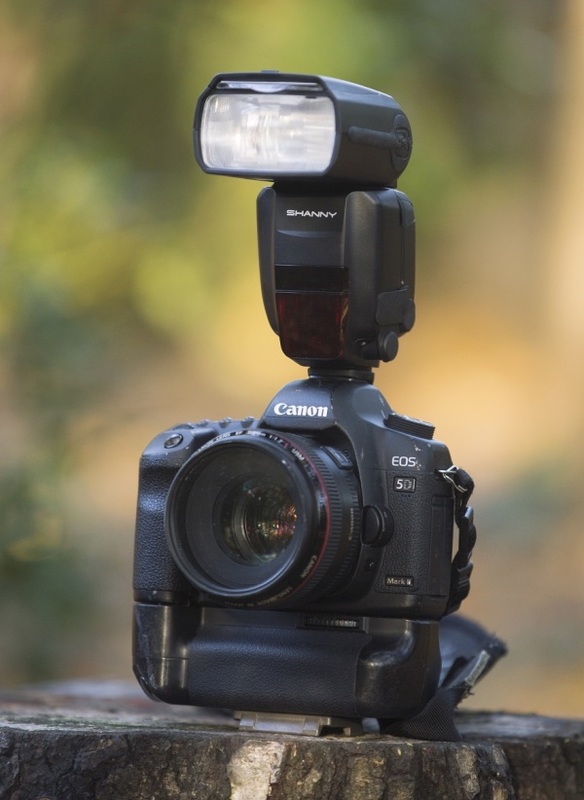 In a test, I found that even the Canon 430 EX II’s AF assist light outperforms Shanny’s, but unless you’re planning to frequently use the SN600SC on-camera and in complete darkness, this drawback is unlikely to cause too much upset. After all, AF assist still works perfectly, as long as the central AF points are used. The Shanny has also impressed with its fast recycle time. In a test, using a fully charged set of Sanyo Eneloop XXs, I found the Shanny recycled in 1.3 seconds, about 0.8 seconds faster than the Canon at full power. Considering the light output at full power is only very marginally improved with the Canon, this test certainly puts the Shanny in the lead. The build quality of the SN600SC is on par with the Canon equivalent. Without looking closely at a few small features, it would be easy to mistake it for the 600EX-RT, and the only noticeable differences are that the buttons are firmer (including the head tilt release button) and the screen display is altered slightly. 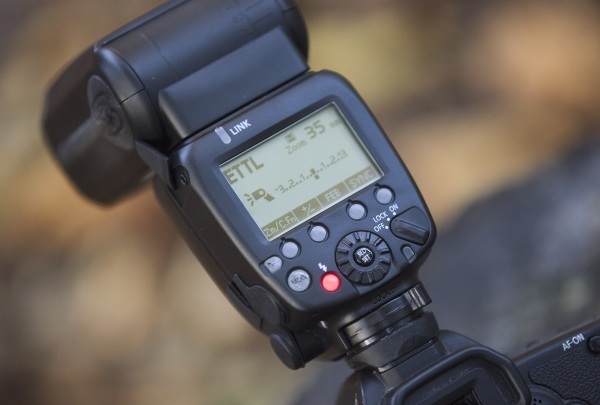 The button interface on the Shanny is identical to that found on the Canon, so it’s easy to use both during a fast-paced shoot, with no confusion at all. A small notch on top of the flash head allows for a clip-on diffuser to be fitted – identical to that supplied with the Canon version. This diffuser allows for easy attachment and detachment, compared to other Sto-Fen style diffusers, as well as for the addition of plastic gel colour correction filters, such as the Rosco Strobist Collection, if required. It’s good to see that Shanny have also adopted the rubber sealed sliding locking pin design instead of a thumb wheel on the hot shoe foot, to make it easier and quicker to attach the flash to a camera or stand. For me, a thumb wheel and a plastic mount was a big drawback with some third-party flashguns, so it’s good to see that finally, cutting down on price doesn’t mean cutting down on quality. As with any new product that is introduced into the market, there is room for improvement. Although I’m pretty impressed by the Shanny in general, I do still have a few niggles. One noticeable difference between the Canon and the Shanny is the difference in resolution of their dot matrix LCD screens. I’ve found that when using the Shanny in M or Multi mode as a master for groups A, B and C, the light output of group C can only be viewed if you scroll down the menu using the selecting wheel. Although this seems a relatively minor point of criticism, it would be good to view the power output of all three groups at the same time, without having to press and select various buttons and menus. On the up side, the Shanny’s LCD and buttons are a lot brighter than those found on the Canon. Perhaps my most used pieces of flash equipment are my Pixel Kings and Pixel King Pros, but unfortunately, the Shanny isn’t compatible with either of these triggers at the moment. 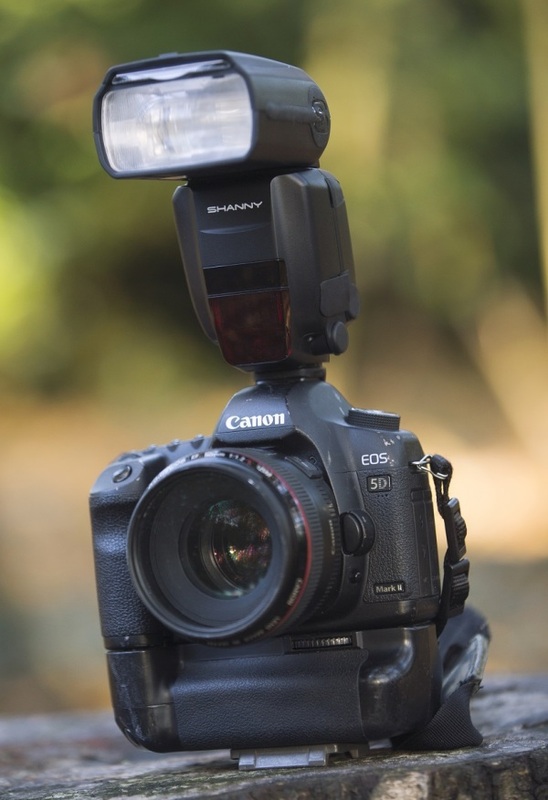 Commlite’s H550 triggers seem to work fine with the Shanny in manual mode, as long as HSS isn’t enabled. Shanny have promised to release a device similar to the Canon ST-E3-RT, in the near future, so until that time, we will have to make do with decreased functionality in this respect. Shanny have hit the ground running with their release of the SN600SC. 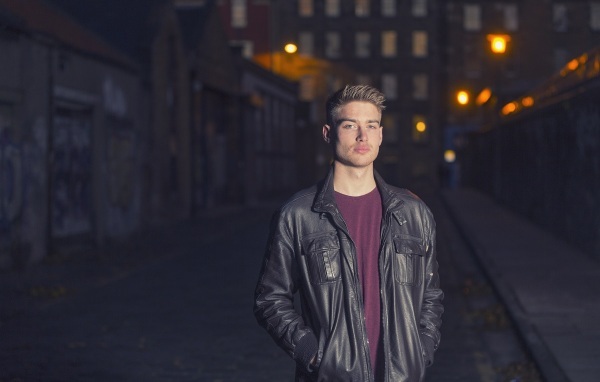 It’s a product other third-party manufacturers might be pretty jealous of, especially as Shanny have managed to produce a product that is sure to gain the interest of many serious and professional photographers in an instant. With the addition of a plug-in radio device and hopefully, a dedicated on-camera trigger device to the Shanny family, there is a strong possibility that the SN600SC will blow any competition out the water, before many third-party manufacturers have had the opportunity to release their own versions. The SN600SC has really shown that, despite the company’s age, Shanny know their market and where they should be concentrating their efforts. The next few years will be an interesting time for the young firm, and if this flashgun’s anything to go by, Canon themselves, better watch out. The Shanny SN600SC is available now for about $130 (~£85) on Amazon and eBay.